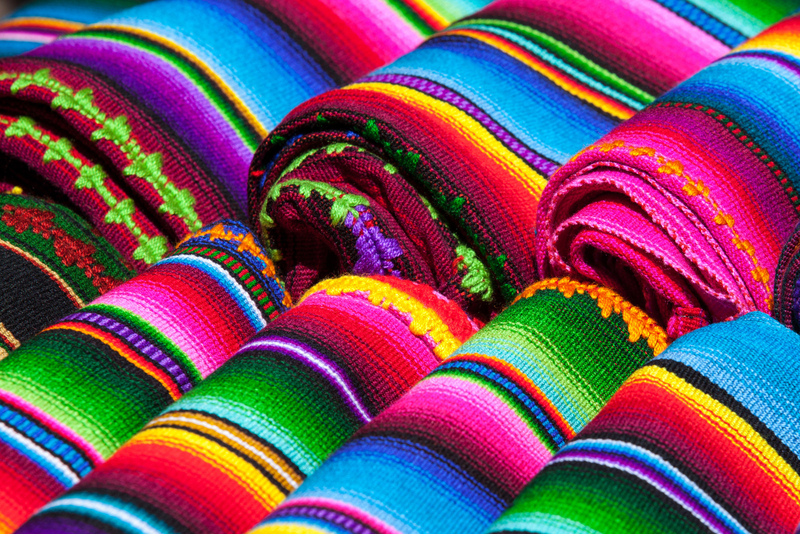 Travel with all the colors of the wind. 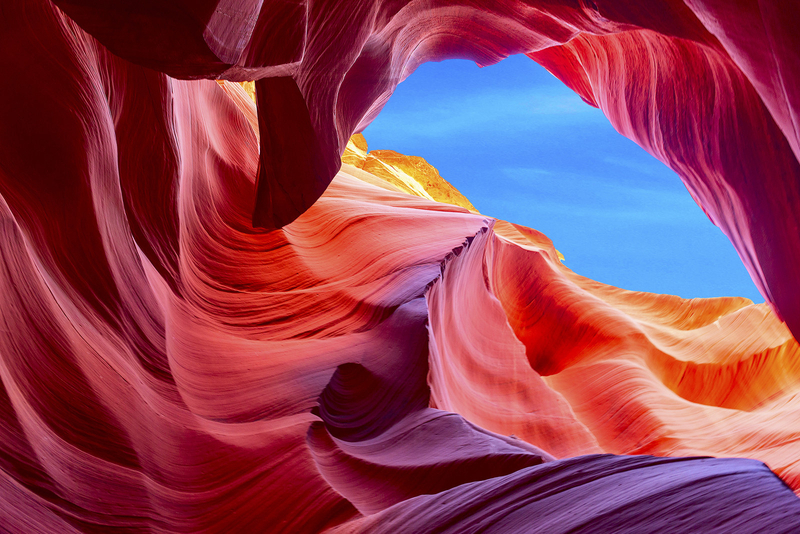 Also known as Corkscrew Canyon, this incredible natural landmark is a photographer's dream. Be warned, if you plan to visit, you will need to book a tour as it's Navajo owned and operated. 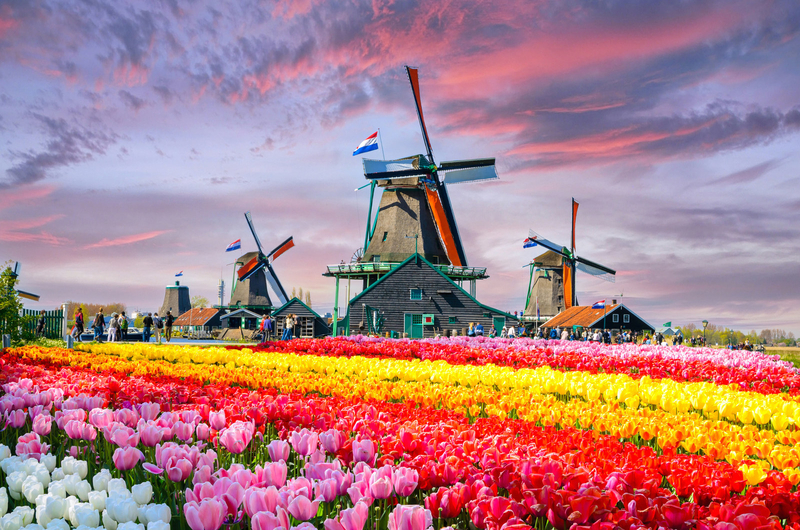 Keukenhof is the international and independent showcase for the Dutch floricultural sector. 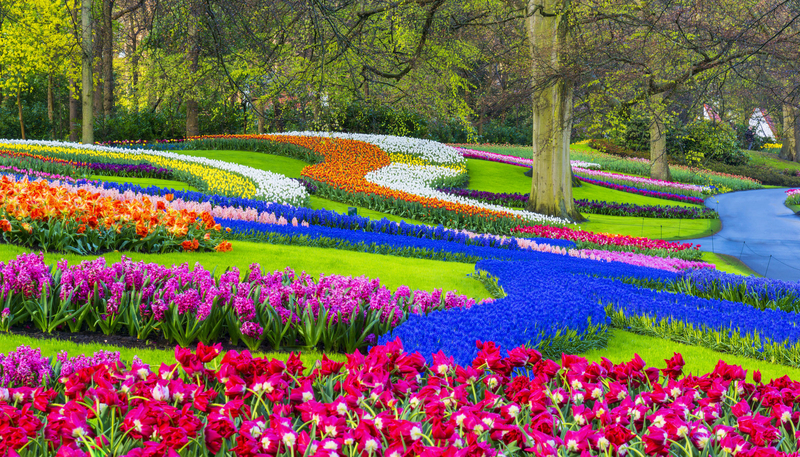 The best time of year to see these spectacular blooming bulbs is March — May. This colorful landscape of rock is mainly in the Kangle and Baiyin townships. 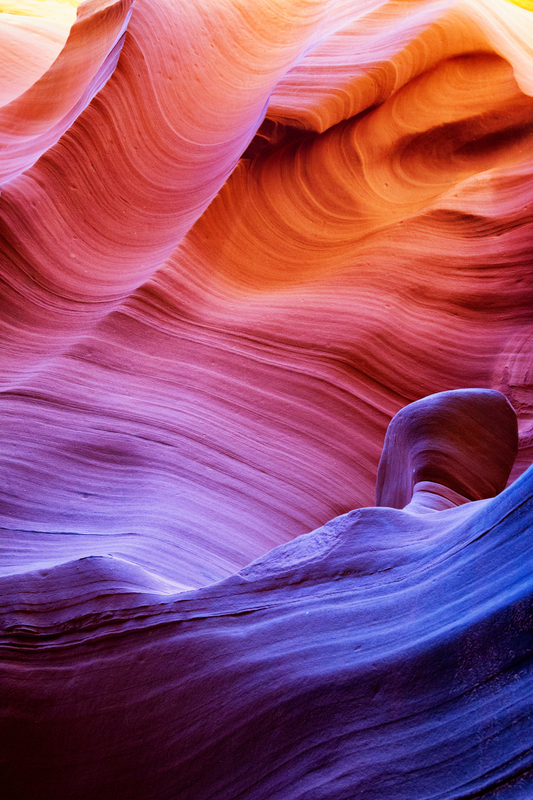 The color of the rocks are the result of deposits of sandstone and other minerals. 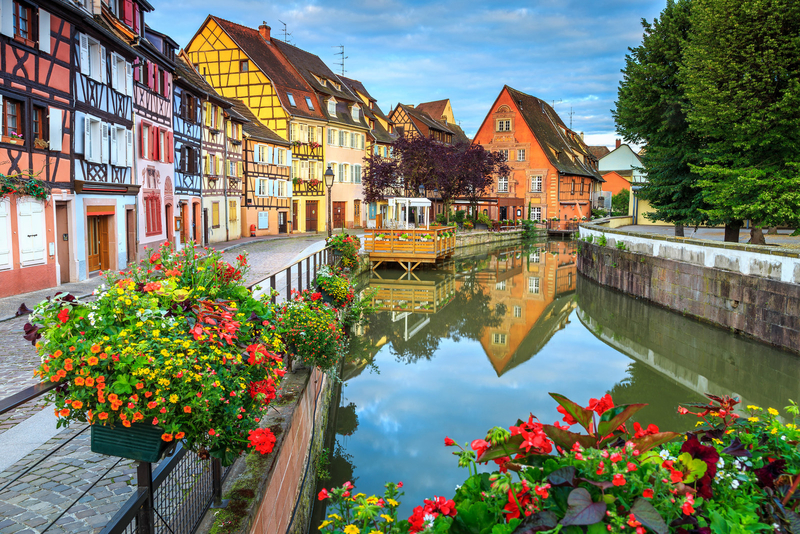 This gorgeous town is reminiscent of Beauty and the Beast, and the wine, flowers, and canals make this an amazing place to visit. 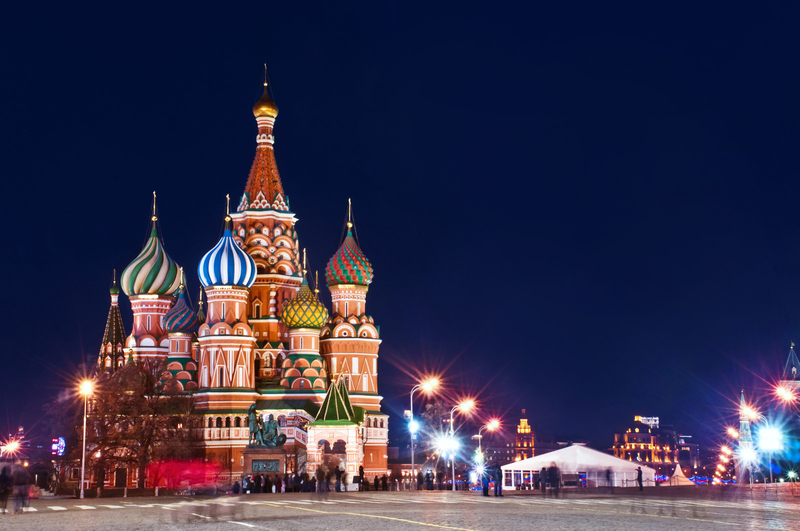 Officially called "The Cathedral of the Intercession of the Virgin by the Moat," Basil's is now a museum that was almost demolished because it hindered Stalin's plans for massed parades on Red Square. 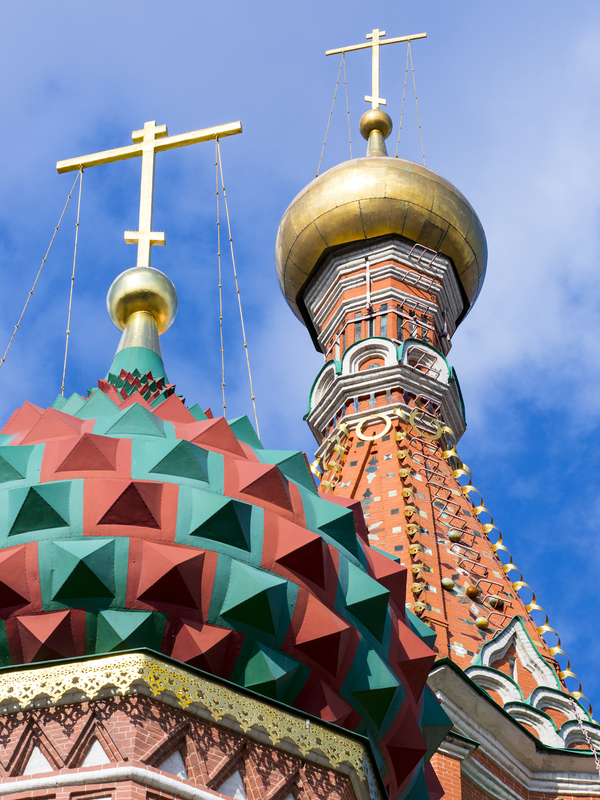 The Cathedral is opened daily (except Tuesdays), and holds one service a year on the Day of Intercession in October. Located on the Italian Riviera, Cinque Terre is comprised of "five lands" and is a UNESCO World Heritage Site. 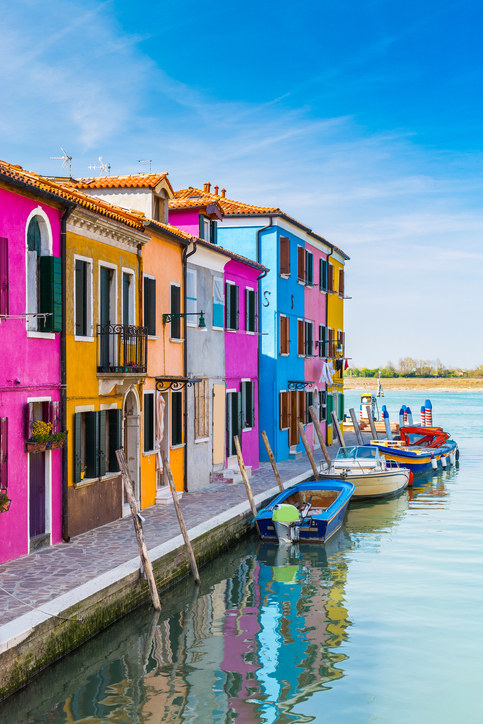 This is a popular tourist destination, and the colors of the landscape is only part of its charm. This is a veteran village that provided simple housing to the Kuomintang soldiers and their families after they retreated from Mainland China. Veteran villages were being torn down, and Mr. Huang (aka Rainbow Grandpa) is one of the last remaining residents. 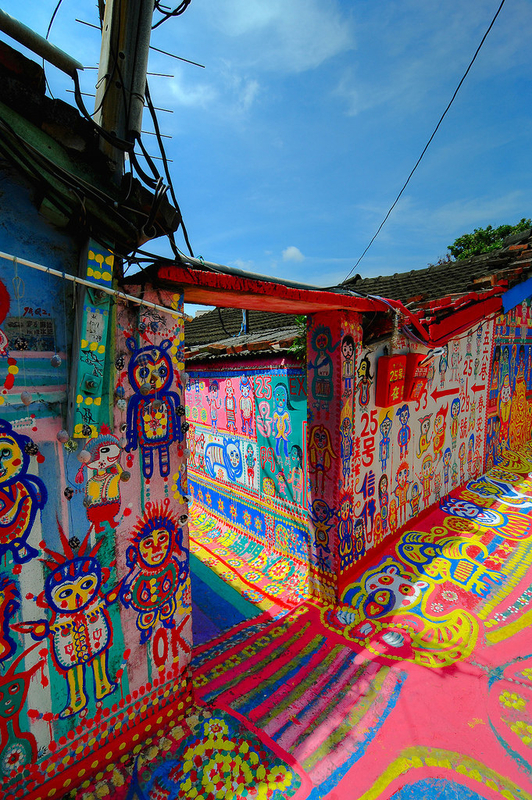 One day he started to paint the empty village, which attracted attention from many people. The local government suspended the demolition, and now it's become a popular attraction. 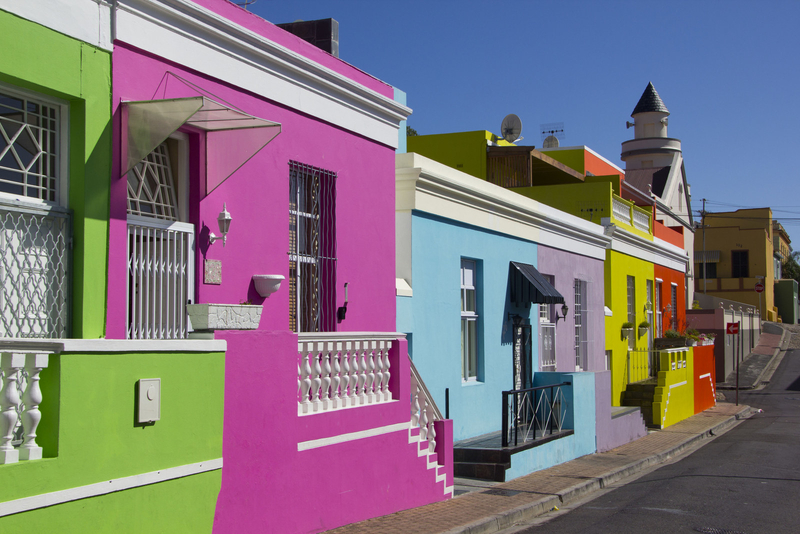 Bo-Kaap, which means "Above the Cape," is one of the oldest residential areas in Cape Town, and has been turned into a museum. This place is also home to the country's oldest mosque, which began construction in 1794. This is an art installation by Swiss artist Ugo Rondinone, and the piece is located about 10 miles outside of Las Vegas. The exhibition was originally scheduled for two years, but due to popular demand, Rondinone is exploring ways to keep the artwork on view at its current site. 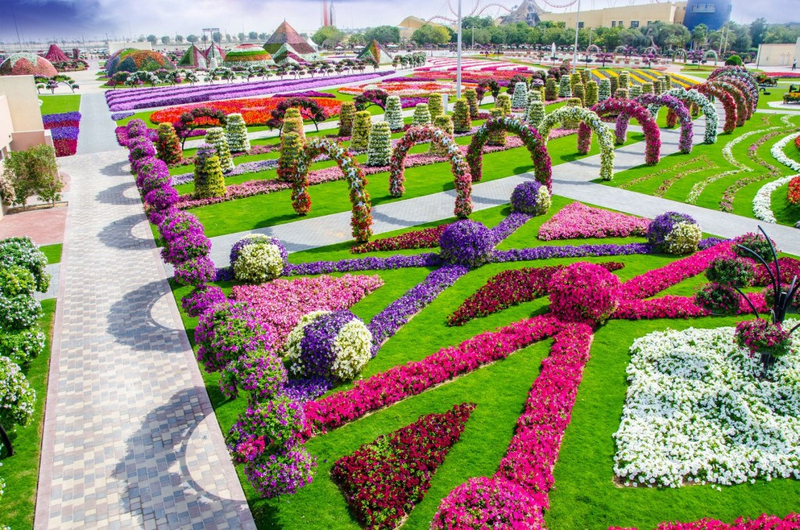 This one-of-a-kind garden has some of the most unique and amazing floral displays. 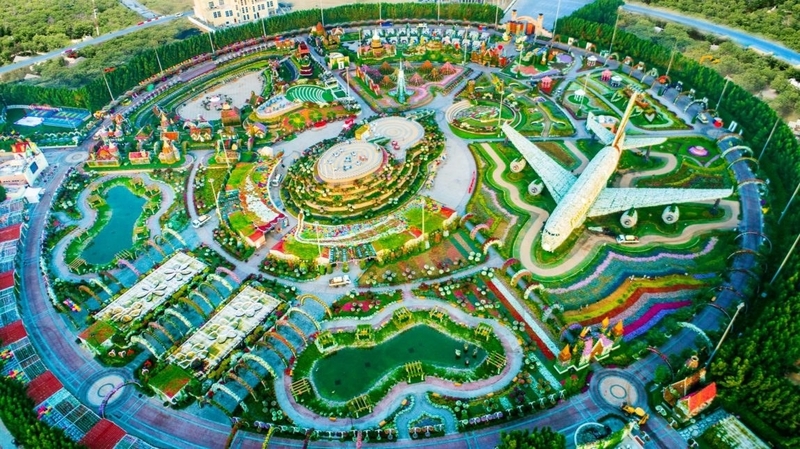 They received two Guinness World Records — one for the tallest topiary structure (59 ft) of Mickey Mouse, and another for the largest flower arrangement, which forms the shape of an airplane. 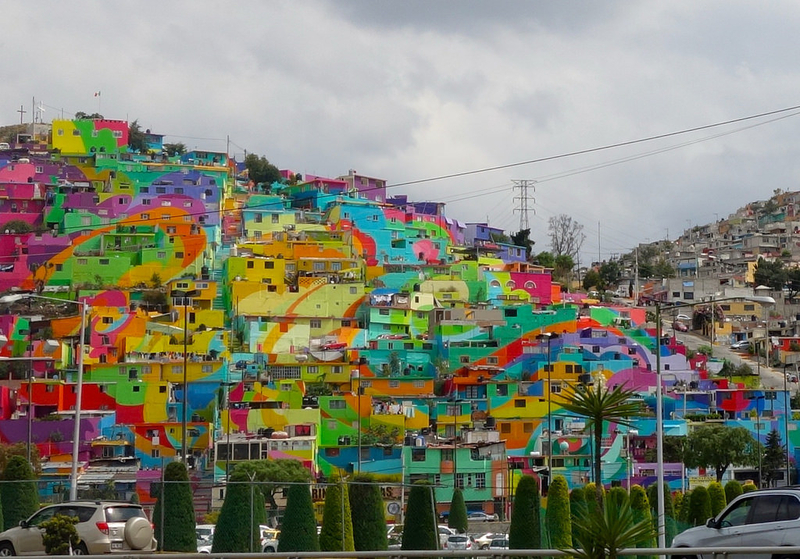 A low-income area, Las Palmitas was painted into a giant mural to brighten and change the negative perception of the neighborhood. 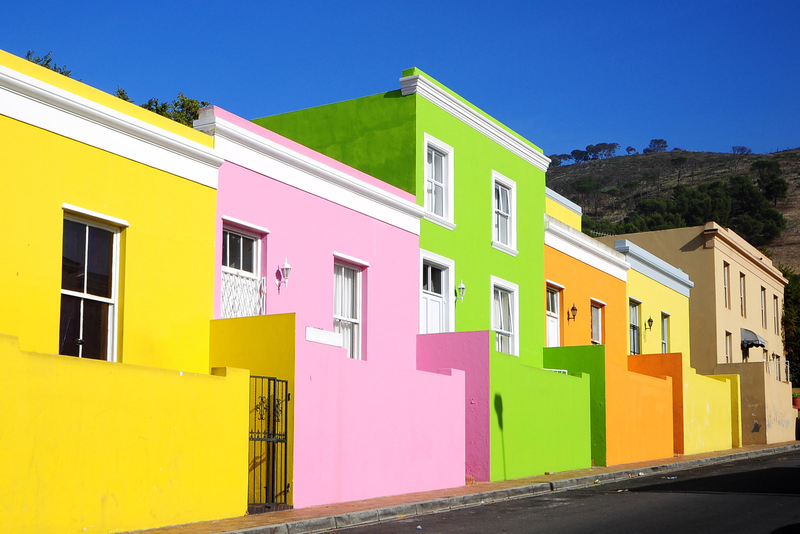 Roughly 200 homes were painted in rainbow colors, and when seen from afar, they form a swirly design. Also known as Rainbow Mountain, this natural landscape is a hidden treasure in the Ausengate region of Peru. 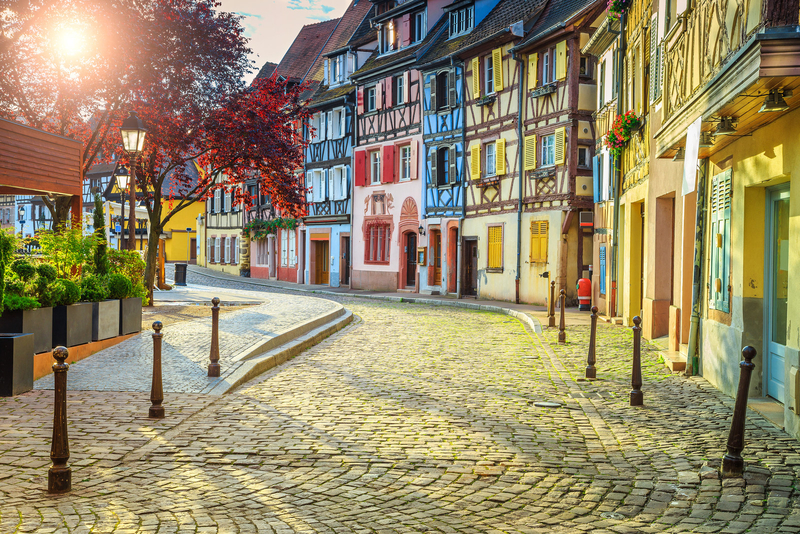 The best time of year to visit is between April — November due to dry climate. 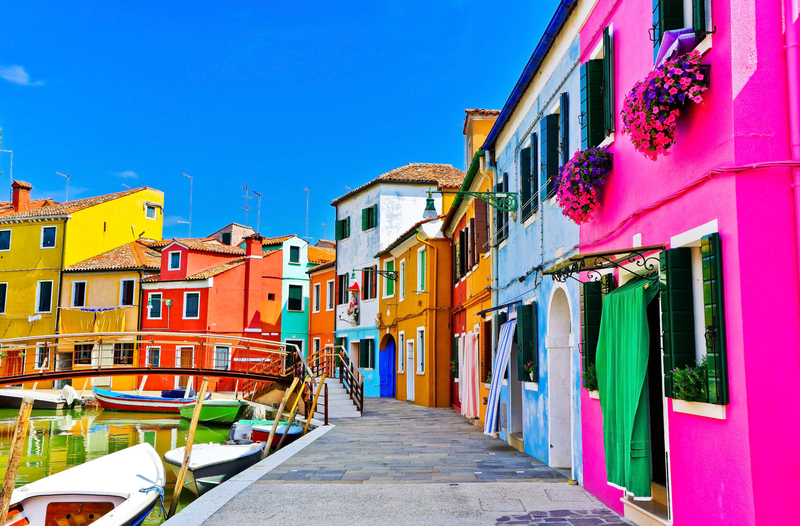 Considered one of the most colorful cities in the world, Burano is very famous for its needle lace craftsmanship. This is also home to big artists like Baldassare Galuppi, Remigio Barbaro, and Pino Donaggio. 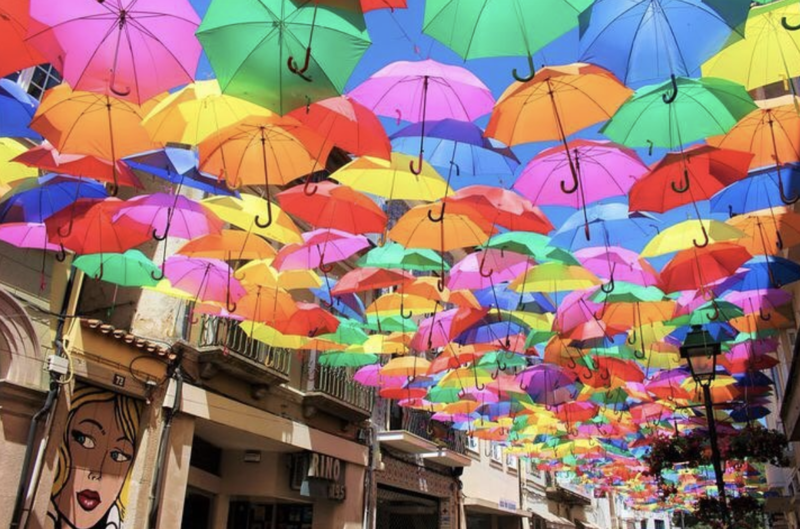 The Umbrella Sky Project began in 2011 as part of the annual Ágitagueda Art Festival in Portugal. The pop up structure became an annual summer installation, and Sextafeira, the creators, have even launched offshoots in other cities. 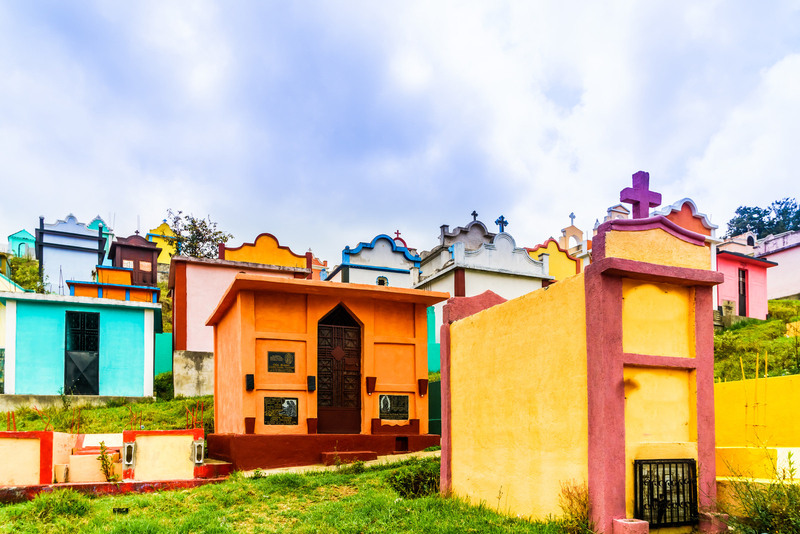 A UNESCO World Heritage Site, Guanajuato is known for its picturesque villages, colorful festivals, and artistic events. Make sure to visit the historic yellow Basilica. 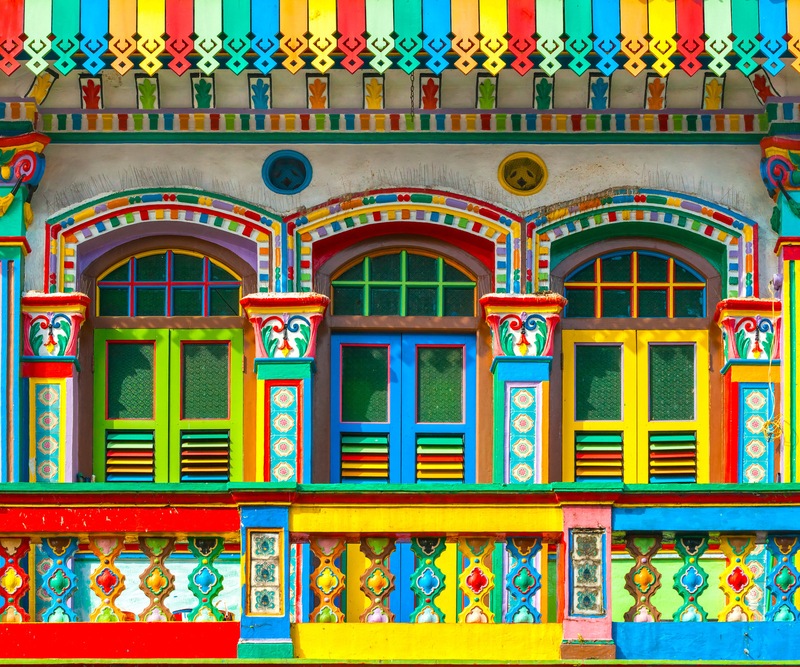 Little India is one of the most vibrant districts in Singapore, home to a mix of Hindu and Chinese temples, mosques, and churches. 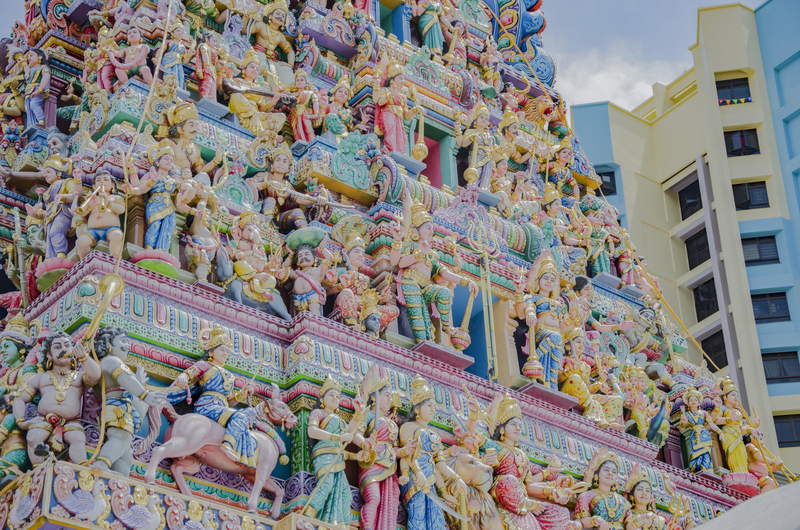 Two must-sees are the Sri Veeramakaliamman Temple and the House of Tan Teng Niah. 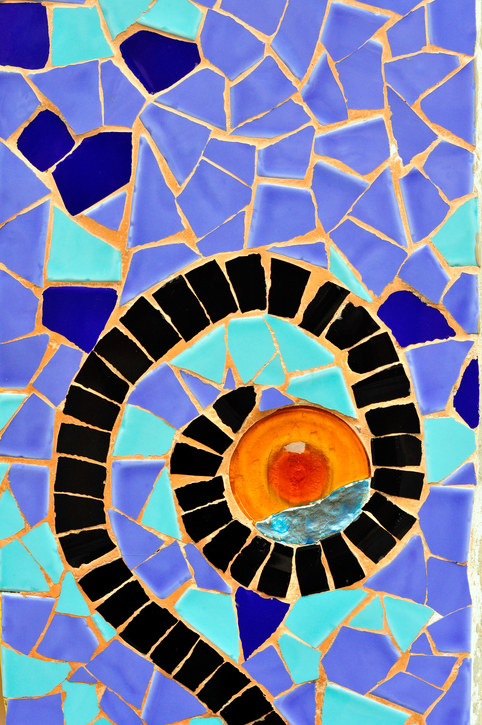 Park Güell was designed by renowned architect, Antoni Gaudí in the early 1900s. 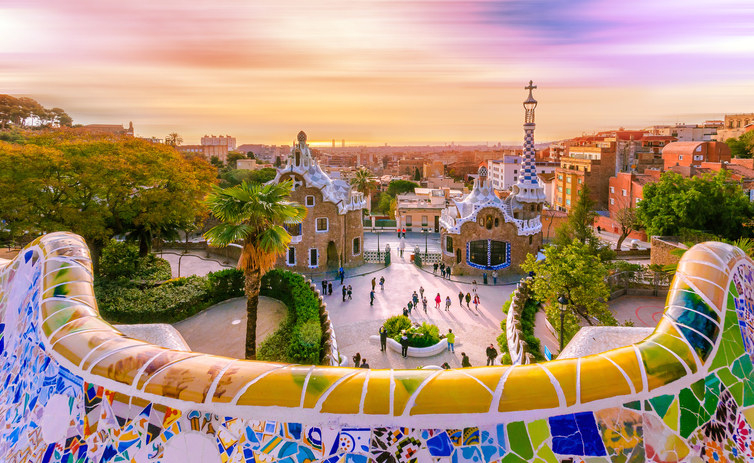 The Park is a UNESCO World Heritage Site, and a must-see for anyone visiting Barcelona. Make sure to order tickets in advance as they tend to sell out. Located on the foothills of a coastal mountain, this colorful village is often nicknamed the "Machu Picchu of Busan." 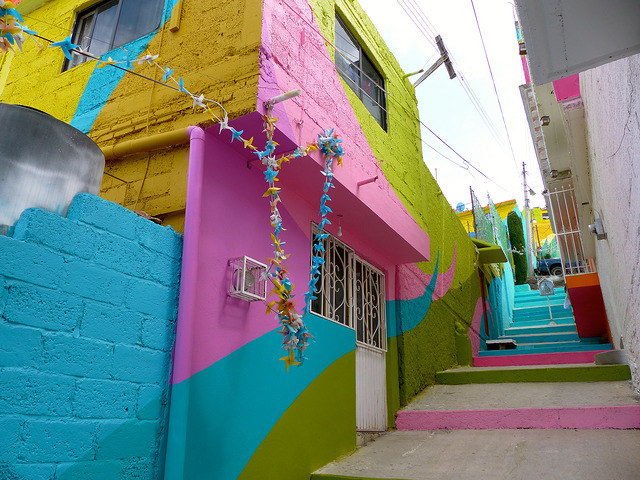 This magical place is filled with shops, murals, and sculptures made by residents. 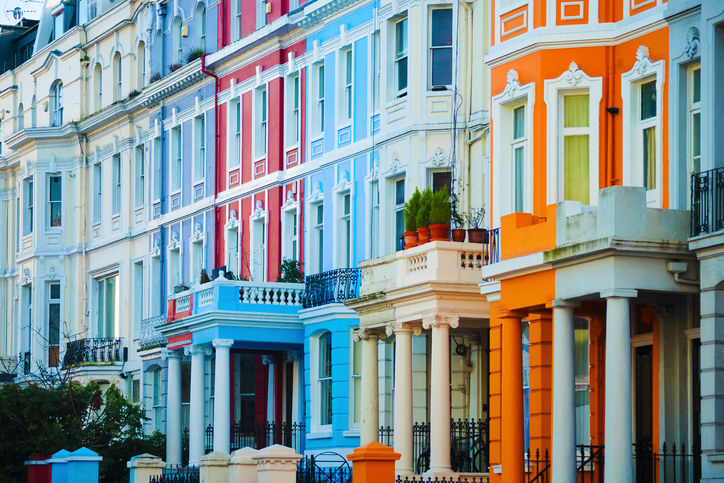 An affluent district in West London, Notting Hill is known for its pastel-colored buildings and thriving market. 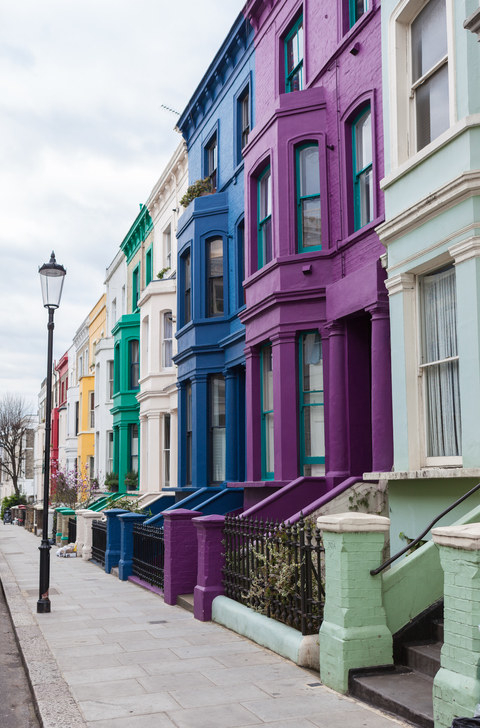 It's also the filming location for the movie of the same name, which starred Hugh Grant and Julia Roberts. 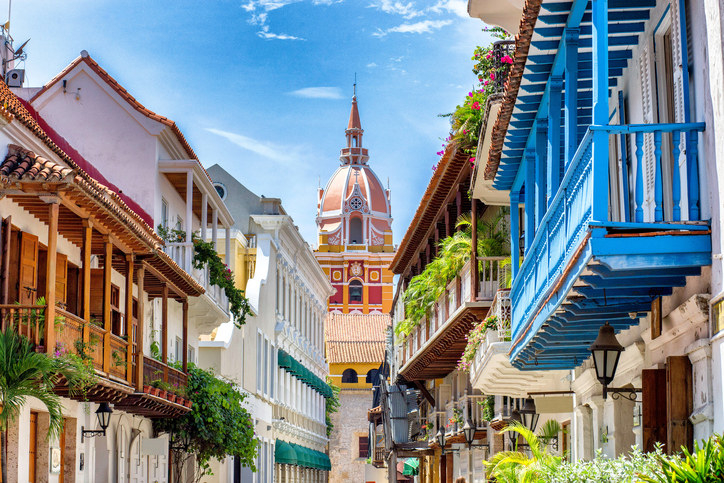 This "Walled City" is located in the Caribbean Coast, and was the main port for trade between Spain in the 1500s. 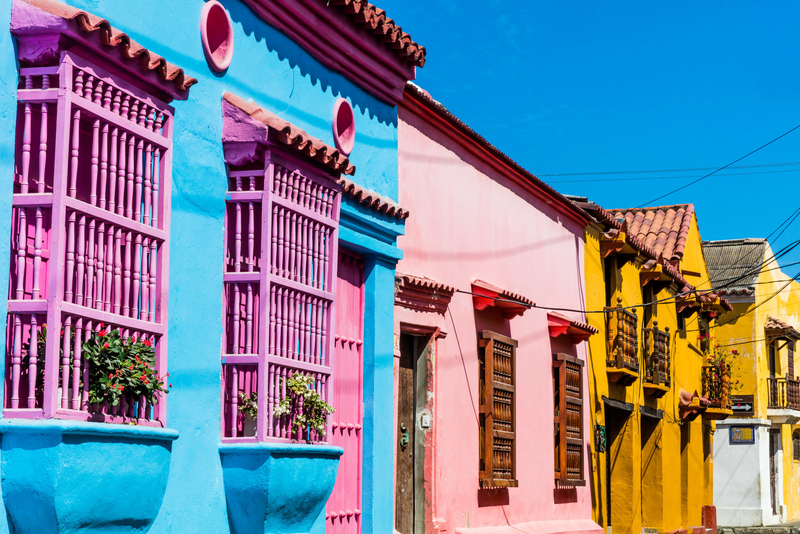 Beyond the colorful buildings and charming flare, Old Town has fascinating history and is a great place to visit in Colombia. This hot spring is deeper than a 10-story building and it's bigger than a football field. 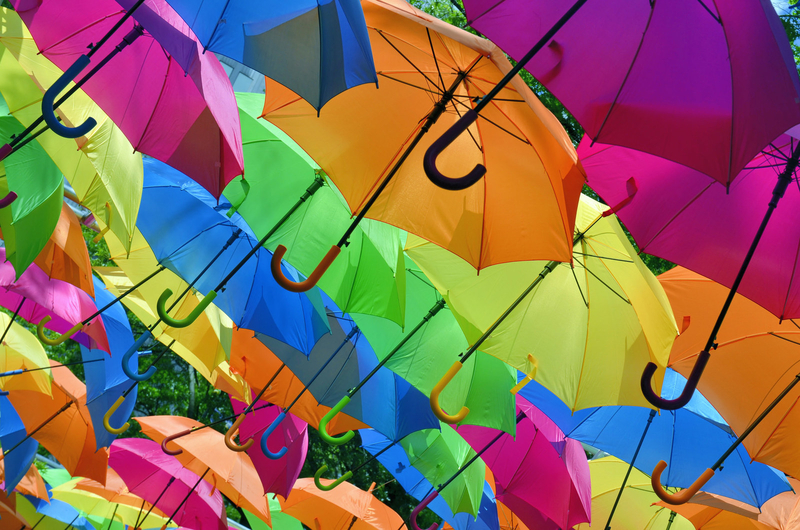 The rainbow effect is from thermophile bacteria and the deep blue center is caused by water scattering the blue wavelengths of light, reflecting blue back to our eyes. Home of the Quiché civilization (largest group of Mayan population), Chichicastenango is one of the most traditional places in all of Guatemala. 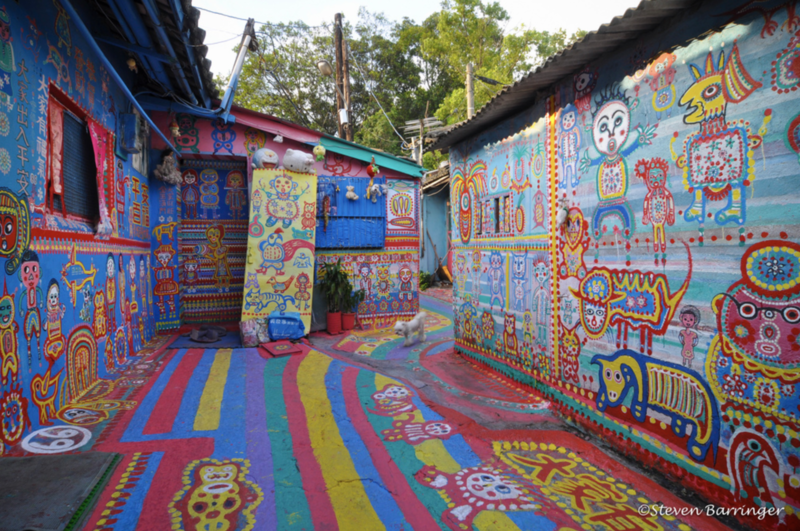 This area is known for their colorful market, which is one of the biggest in the country. 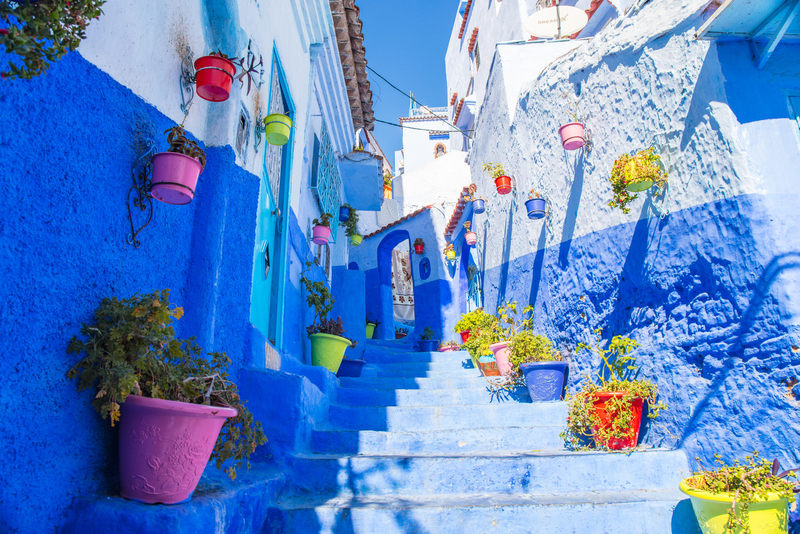 The "Blue City" of Morocco might not be a rainbow, but the alleys and streets will make you feel like you're in the sky. 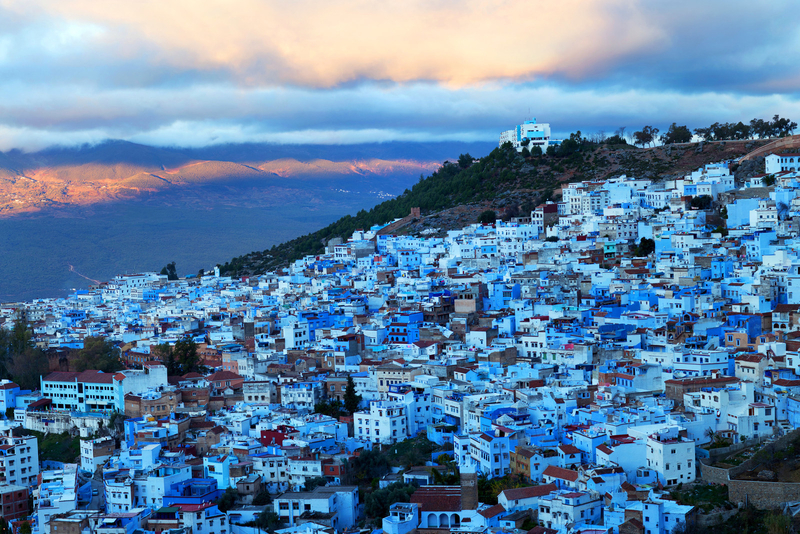 It's located in the foothills of the Rif mountains, around 20 miles from the Mediterranean coast.